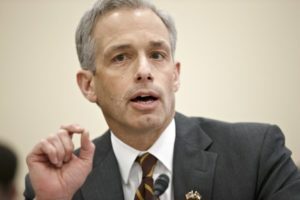 John Walsh served as U.S. Attorney in Colorado from 2010-16. A bipartisan group of more than 70 former US attorneys are calling on Attorney General Jeff Sessions to reverse the Trump administration’s policy of prosecuting all people who cross the border illegally, saying it is “dangerous, expensive, and inconsistent” with the values of the Justice Department. “Like the majority of Americans, we have been horrified by the images and stories of children torn from their families along our nation’s Southwest Border. And like a majority of Americans, we are appalled that your Zero Tolerance policy has resulted in the unnecessary trauma and suffering of innocent children,” the prosecutors wrote on Medium in a post published Tuesday morning. …the prosecutors in Tuesday’s letter say requiring 100% enforcement of the policy, without exceptions, was an “ill-conceived” plan. Among the signers of the letter, which you can read in full at Medium.com, is former U.S. Attorney from Colorado John Walsh. Message to Democrats. Triangulation is dead. Bipartisanship should be. “Both sides” implies both sides are equally invested in the best solution and have similar motives. They don’t. Top aides to President Donald Trump are planning additional crackdowns on immigration before the November midterms, despite a growing backlash over the administration’s move to separate migrant children from parents at the border. Senior policy adviser Stephen Miller and a team of officials from the departments of Justice, Labor, Homeland Security and the Office of Management and Budget have been quietly meeting for months to find ways to use executive authority and under-the-radar rule changes to strengthen hard-line U.S. immigration policies, according to interviews with half a dozen current and former administration officials and Republicans close to the White House. And there you have it. The Screaming Yam doesn't give a flying flip about the Republican Party or the drubbing they'll take in November to rein in these obscene policies. The blue wave is getting higher every day. And they’ll have him to thank for it, if they haven’t the sense of self-preservation to run as far and as fast as they can from him. Trump divides and Putin conquers. America loses. And Moldy and gang are happily distracted by the shiny nickels and dimes they got from the temporary tax cut, but permanent budget hole.